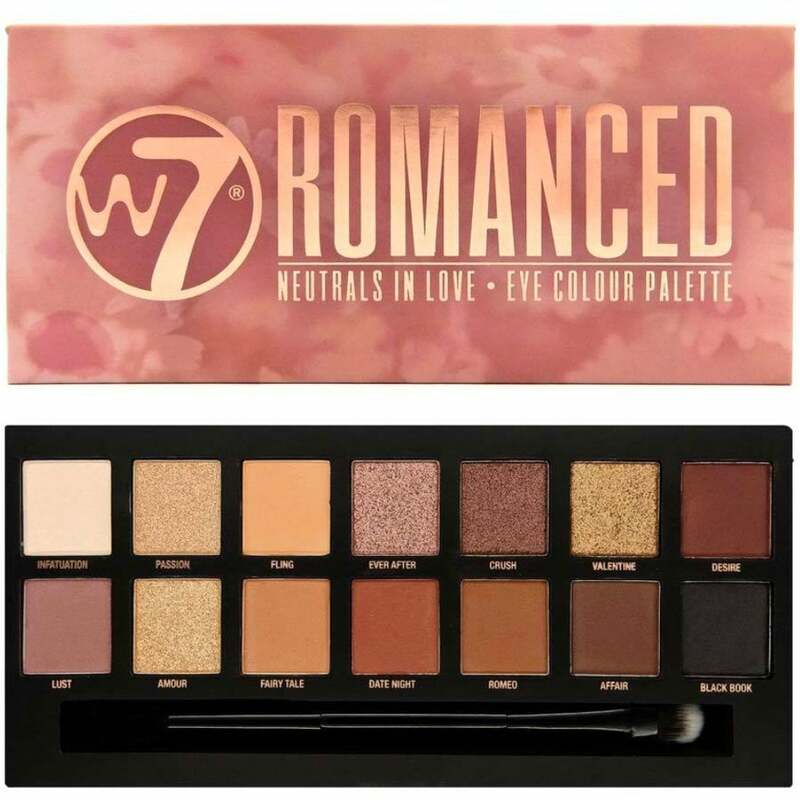 W7 Cosmetics Romanced 14 Colour Eyeshadow Palette contains a complimentary selection of creamy matte & metallic hues. From peachy, natural tones to gorgeous golds, the sublime colour selection provides everything needed to create a variety stunning eye looks. He palette is great for it's price, but I would recommend using a lid primer so the colors last much longer. It arriver almost a week late than what expected with the free delivery, keep that in mind im case you need anything for a special occasion or matbe a present.